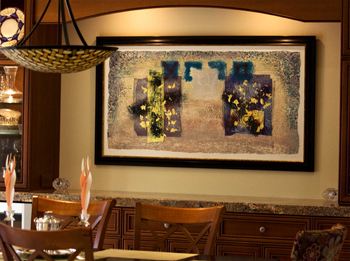 When it comes to custom art and frame solutions for residential and model homes, we’re second to none. We can work with your own design team or take the lead. It can be as simple as giving us your color palette and floor plan; we can do the rest. Tell us what you have in mind and we can custom design the right art and framing solutions to fit your needs.